Shares of The Michaels Companies, Inc. MIK declined roughly 15% during the trading session on Aug 30. Even though the company delivered earnings beat in second-quarter fiscal 2018 and also raised its full-year earnings view, the reason behind the stock’s slump was due to softness in comparable store sales (comps) and revenue miss. Also, both metrics decreased year over year. Further, its downbeat outlook for the third quarter hurt investors. A look at this Texas-based company’s price performance shows that it has underperformed the industry it belongs to. The stock has lost 8.9% over the past three months against the www.zacks.comstocksindustry-rankindustryretail-miscelaneous-...">industry’s increase of roughly 10%. Michaels Companies posted adjusted earnings of 15 cents per share, beating the Zacks Consensus Estimate by a couple of cents but plunged 21.1% from the prior-year quarter due to lower net sales. Net sales of this arts and crafts specialty retailer slipped 1.8% year over year to $1,053.3 million. The top line also missed the Zacks Consensus Estimate of $1,061. The year-over-year downside was mainly associated with the closure of 94 full-size Aaron Brothers stores in the first quarter, which negatively impacted the second quarter, besides dismal comps. 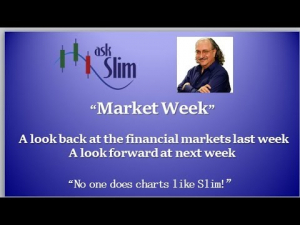 Certainly, the sluggishness in the industry remained a key factor behind the downtrend. However, the fall in the company’s top line was partly offset by sales from the operation of 21 additional Michaels stores during the quarter under review and higher wholesale revenues. To the surprise, comps slid 0.4% (down 0.5% on a constant-currency basis) during the quarter under consideration. This follows an equivalent increase in the metric in the preceding quarter. In the year-ago period, comps inched up 0.6%. The company’s quarterly gross profit deteriorated 7.2% year over year to $373.3 million while gross margin contracted 210 basis points (bps) to 35.4%. The contraction in gross margin was due to rise in distribution-related costs, higher promotional activity and occupancy cost deleverage. This was partly offset by benefits from the ongoing sourcing endeavors. SG&A expenses including pre-opening costs saw 4.1% reduction to $301 million on lower performance-based compensation and a fall in expenses, attributable to the closing of Aaron Brothers stores. This was further counterbalanced by increased marketing expenses. Consequently, adjusted operating income dropped 19.2% to $71.1 million in the reported quarter. Also, operating margin was 6.7%, down 150 bps from the year-ago quarter’s figure. During the second quarter, the company inaugurated nine new Michaels stores alongside closing one and relocating seven Michaels outlets. As of Aug 4, 2018, Michaels Companies operated 1,251 Michaels stores and 36 Pat Catan’s stores. In the fiscal third quarter, the company plans to open five, net of closures, and relocate five Michaels stores. For fiscal 2018, the company expects to open 19 new Michaels outlets (net of closures) and relocate 21 Michaels shops. Michaels Companies had cash and cash equivalents of $123.2 million, long-term debt of $2,695.1 million and total stockholders’ deficit of $1,699.4 million as of Aug 4, 2018. Total debt at the quarter end was $2,835.3 million. As of Aug 4, total merchandise inventory rose 7.1% to $1,280.1 million. Management incurred capital expenditures of $70 million in the fiscal second quarter, mainly related to investments in technology projects comprising funds to support the in-sourcing of e-commerce fulfillment and resources pumped into new and relocated outlets. For fiscal 2018, the company expects to incur capital expenditures of $160-$170 million. Management expects comps for the third quarter to increase 1.5-3%. Adjusted operating income is estimated at $131-$138 million. Interest expense is likely to be about $38 million with an effective tax rate of 23%. Earnings are envisioned to be 42-45 cents per share. Notably, the company’s fiscal third-quarter outlook lagged analysts’ expectations. The guidance falls short of the current Zacks Consensus Estimate of 51 cents per share, which could witness a downward revision in the coming days. For fiscal 2018, the company maintained its net sales forecast of $5,217-$5,293 million alongside comps of flat to up 1.5%. Adjusted operating income is projected to be $677-$700 million while interest expenses are expected at $144 million. Effective tax rate is anticipated to be nearly 23%. Further, earnings per share for the fiscal are envisioned to be $2.29-$2.42, up from its previous view of $2.19-$2.32. The current Zacks Consensus Estimate for the fiscal year is pegged at $2.32. Michaels Companies currently carries a Zacks Rank #2 (Buy), subject to change following the earnings announcement. 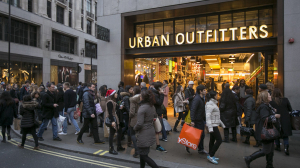 Urban Outfitters, Inc. URBN, sporting a Zacks Rank #1(Strong Buy), delivered an average positive earnings surprise of 17.7% for the trailing four quarters. It has a long-term earnings growth rate of 12%. You can see the complete list of today’s Zacks #1 Rank stocks here. Five Below, Inc. FIVE pulled off an average positive surprise of 16% in the past four quarters. It carries a Zacks Rank of 2 and a long-term earnings growth rate of 28%. Big Lots, Inc. BIG has a long-term earnings growth rate of 12% and is a Zacks #2 Ranked player.